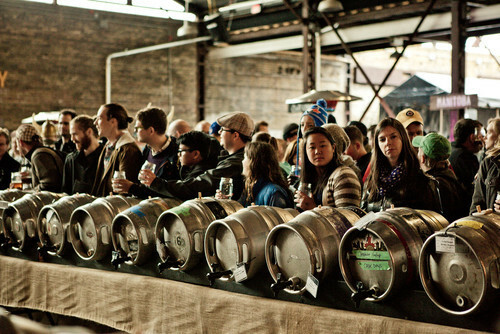 Cask Days 2013: Thank You! 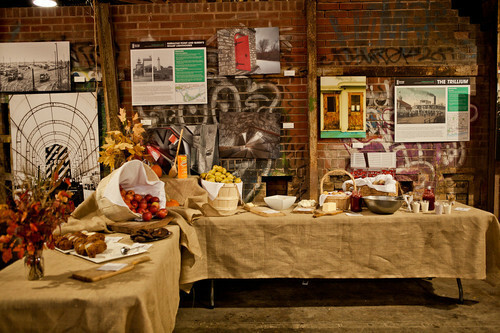 On behalf of the Cask Days 2013 team we would like to thank you for being part of our 9th Annual Cask-Conditioned Craft Beer Festival held on October 19th and 20th at Evergreen Brickworks. The festival welcomed 4500+ guests over 2 days, 124 breweries from across Canada and the UK and 230 different cask-conditioned ales. Special thanks to all participating breweries, volunteers, event staff, Kim Montgomery for co-ordinating media, sponsorship, food and DJ program, Jake Lewis, UNITY charity, barVolo staff, Ruth Evans, Evergreen Brickworks, pick up points (Harbour, Parallel 49, Big Rock, Half Pints, Les Trois Mousquetaires, Propeller), ticket outlets (Amsterdam Brewhouse, Bellwoods Brewery. Indie Ale House, barVolo, Granite Brewery), Stephen Beaumont, Edward Lofthouse, Rusty Wyatt, HiMyNameIs Productions, friends and family! 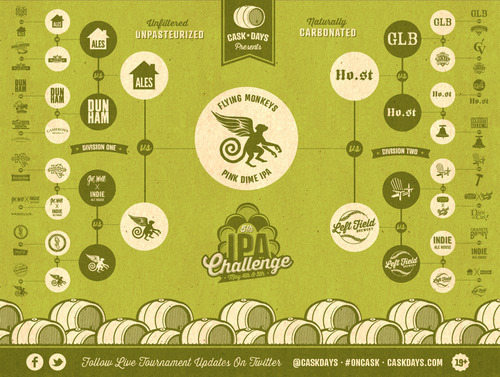 Congrats to the winner of the 5th Annual Cask-Conditioned IPA Challenge: Flying Monkey’s Pink Dime IPA from Barrie Ontario. Here are the beer numbers (4)Flying Monkey (2) Left Field (4) Hopfenstark (3) House Ales. As the global dining scene experiments and matures, cask ale is quickly becoming the perfect partner to pair craft beer with good food. Young Canadians, bored with adopted tastes from mom and dad for sophisticated sauvignon blanc, are shifting to cask ale as their preferred drink when enjoying a lone pint or paring it with a meal. From trendy, young women sipping cask in the dining room at Toronto’s upscale pub The Oxley, to award-winning brewers like Halifax’s Granite Brewery, cask ale interest is boosting Canadian culture to new levels. Eoghan Banks, manager of Leslieville’s Irish Local Céilí Cottage, which has been serving cask since 2009, agrees. Cask ale as a living beer requires less filtering and fewer ingredients, providing a lot more flavour than one would get from a lager, for example. An abundance of flavours present new opportunities for food matching, especially in a country like Canada where dining continues to become increasingly multicultural. From spicy dishes to acidic plates, there’s a cask ale to match—the key is to ensure the beer complements the food rather than overpower the dish. When selecting your meal at a restaurant or preparing a dinner, think first about the ingredients, rather than the end product to select your beer. If you’re new to cask ale, ask your server or bartender for suggestions to suit your tastes and selections. Cask ales are diverse and can produce bitter tastes from a barrel brewed with coffee, or a sweeter palate from a barrel aged with sour cherries. For people who want to have more than one pint at a bar, cask is cheaper and also more tasteful than a regular industrial lager. Ironically, cask requires more time and effort to prepare and it’s less expensive than a mass-produced, fizzy and filtered beer. Real ale is the most pure form of beer people are going to get. 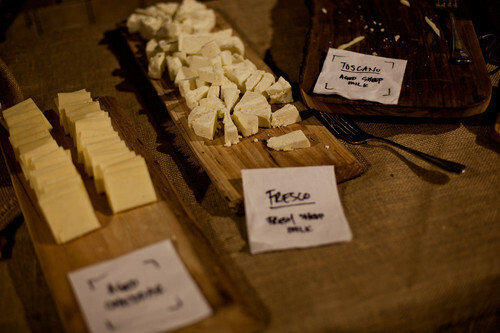 Aside from cost, there’s a growing need for consumers to know where their food comes from. What’s in the drink—from sugar to aspartame and more—is due to a growing popularity in locally produced goods. Banks says Céilí Cottage uses cask ales in dinner recipes, and the visual of the bar staff pulling the pump is intriguing to a lot of people. Recently Celli Cottage worked with beer supplier Barley Days Brewery in Picton, Ontario, to develop its Scrimshaw Oyster Stout. They used one thousand Malpeque oysters from Prince Edwards Island in the brew, and the first batch is currently available on cask, draught and bottle at many pubs throughout Ontario. 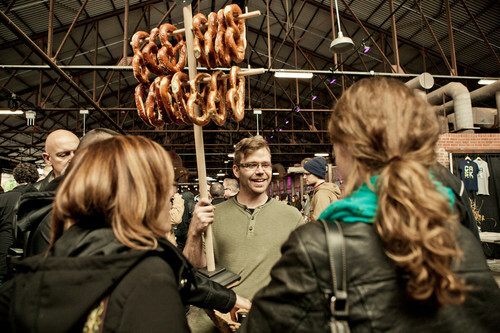 If you haven’t had your beer epiphany yet, Cask Days will help you discover an appreciation for cask ale and good food. For centuries, men and women in many cultures have been preserving quality alcoholic beverages—vintners carefully oversee the harvesting of fine grapes to produce the best wines, and distillers painstakingly observe aging bourbon to ensure each sip abides by the lore that birthed it. Good beer is no different. With cask-conditioned ale, cellarmans are tasked with promoting the beauty in each cask of beer sold—whether they’re developing a range of aromas and flavours, or nurturing the brew by serving it in a manner and temperature that complements its profile. What’s enjoyed in the pint glass is a laborious process involving dedication to a fine craft. Like much of the history that follows cask ale, the UK has led a storied tradition of cellarmanship for years. As technology and culture has evolved, the role of the cellarman has also had to adapt. North America’s take on cask-ale brought about gentle changes to the British tradition. These changes have allowed a traditional brew making process to flourish. The UK set the standard and history for good cask-ale, but it’s North America that has inspired new recipes and styles of the beverage. While steady sales are a priority for many pubs to sustain their presence, cellarman adhere to strong core beliefs—safety and hygiene are vital to the health and strength of a good brewery. A well-conditioned, cool room guarantees a safe habitat for brewing and allows for a clean environment where cellarman can conduct their craft. An understanding of proper conditioning will help reduce the level of carbon dioxide and each style of beer may need different temperature levels. Serving is also a key component of the process that requires attention to detail—whether it’s tapping the cask to enable an optimal flow of beer when pouring, or securing the barrel on a stillage—a rack to hold the cask—in an upright position for hand-pumping. Ultimately it’s the customer who helps propel excellent product. Younger crowds seeking out quality beer have been championing good cellarmanship, and the breweries they love. Cask Conditioned Ale – The Basics. The explosion of craft beer onto the bar and dining scene has only fueled excitement about unique brews popping up all over the country—add to this the growth in awareness of cask-conditioned ale—Canadians are quickly becoming savvier beer drinkers. With increased recognition, passionate supporters are quick to point out that cask-conditioned ale isn’t merely a style, but an attentive brewing process. Cask-ale’s rise in popularity has been aided in part by the distinct method it is brewed and served—unfiltered and unpasteurized beer, served from a cask (originating from the Spanish word cascara, which means container)without the use of external nitrogen or carbon dioxide pressure. Its increase in consumption can be associated with a number of defining qualities: a living, breathing product from brewery to pint glass, localized creation to ensure optimal freshness, and an extensive range and depth in flavour that increasingly pairs well with food. To understand what sets cask-ale apart from other brewing types, we have to explore the history associated with the beverage. For this, we turn to Britain—a country synonymous with its ales and beers. Long responsible for the culture’s evolution and savior in times of conflict, cask-ale worked in Britain because of an enthusiasm among drinkers dating back to the middle ages, but also a cooler climate that allowed the specialized brewing process to flourish. Connoisseurs will claim cask-ale to be Britain’s greatest contribution to the world—it is their staunch attention to detail that has kept cask-ale brewed and served to explicit standard—and the drink has navigated Britons through war, disease, and social progress. What differentiates cask-ale from keg served beer is the primary fermentation process—the beer is left in the cask to condition naturally right up to the point it is served. Beer destined for cask is “racked” (poured) into the barrel in its natural state, where keg and bottled beers can be sterile-filtered, pasteurized, or both. Finings, substances that remove organic compounds to improve clarity or adjust the flavour and aroma, are added to the beer near the completion of the brewing process. This encourages the yeast to sink to the bottom and remains undisturbed while the beer is poured. The length of time the beer can last in the cask depends on the nature of the beer itself—but to enjoy the brew at its finest, cask-ale should be consumed within two to three days of being tapped. A wooden peg is knocked into a wooden or plastic fitting called the shive found in the side of ale casks. The wooden peg in the shive allows any extra gas within the cask to vent off. When the beer is deemed ready, the soft wooden peg is replaced with a hard one that doesn’t allow air to flow in or gas to leak out. The beer settles for twenty-four hours, until it is ready to serve. A gravity dispense remains the simplest method of serving types. Once tapped, the cask can allow beer to flow freely into your glass. The cellarman will ensure that the brew is properly vented—allowing air to enter and replace the dispensed beer. If the beer is sitting in a cool cellar below the pub, a hand pump known as a beer-engine is used to siphon the ale up. Once the lines have been washed, and the beer engine is tapped, the pump requires several pulls to clear air or water. Experienced staff will serve a pint with long, smooth, and slow pulls from the pump handle—resulting in a good amount of head, and beautiful clear ale best poured in a wide-brimmed glass to enjoy its full aroma. The brewing of cask-conditioned ale is a storied process spanning many centuries. As history has ebbed and flowed, the way we’ve enjoyed beer has also been taken on a wild journey—but Canadians are once again turning to local, artisanal producers of food and beverage, with Cask Days continuing the passion and enthusiasm for this specific brewing technique. The result is an ever-growing community of brewers and advocates championing a community approach to brewing tasty, handcrafted beer made with the utmost attention to detail. 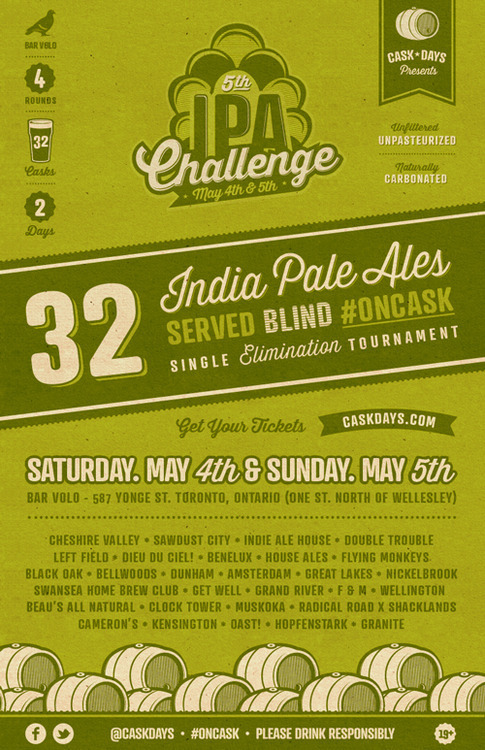 Cask Days invites you to participate in the 5th Annual Cask-Conditioned IPA Challenge taking place Saturday, May 4th and Sunday, May 5th, 2013 in Toronto, Ontario. This years challenge will be hosted bybarVolo (587 Yonge St. Toronto) and feature 32 cask-conditioned IPA’s from 32 different breweries (Ontario & Quebec). Participating IPA’s be served blind through gravity cask and will compete heads up in a single elimination bracket tournament. The top score of each beer pairing will advance to the next round. 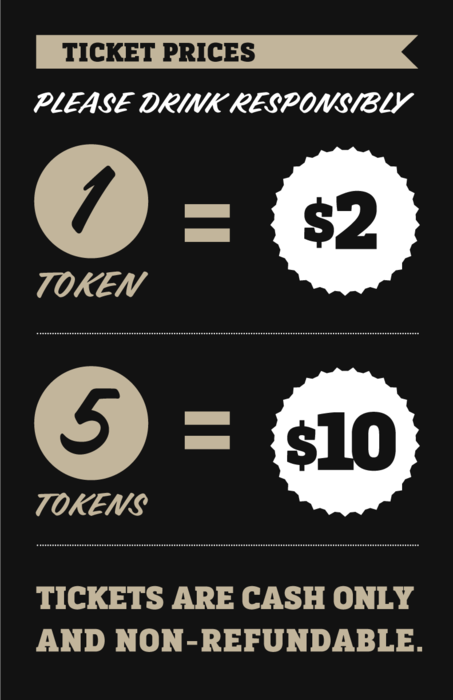 Attendees will have the opportunity to rate and score beers over three rounds. All beers will be revealed as their knocked out of the challenge. The final four beers remaining in the challenge will compete in one last round at Cask Days in October this year. * Featuring 26 India Pale Ale Hybrids on tap (Belgian IPA, Black IPA’s, Double IPA’s etc..
* Round Three Ticket holders will have first access to the tap take over. Unfortunately a lot more beer was consumed than we estimated and a hand full of casks have blown from the initial advertised list. There are some new casks we have introduced but there may be some beers you wanted to try that are no longer available. Don’t worry there is plenty of beer for the amount of people attending! On Thursday, October 11th the monthly Project X party put on by the fine people at Great Lakes was turned into a special Cask Days celebration with breweries from around the GTA participating. In true Cask Days style, the six cask beers were being served outside the Great Lakes brewery despite the chilly weather. It was a great way for everyone at the event to get a little practice drinking in the cold before the big weekend arrives. 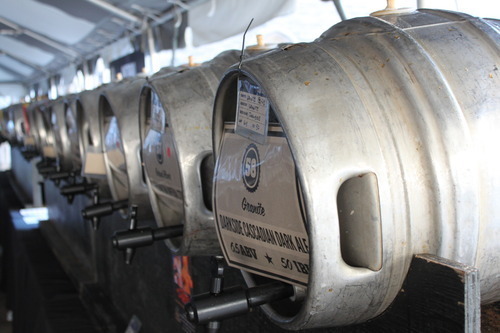 A cask from each of Amsterdam, Black Oak, House Ales and Nickel Brook were being served alongside two Great Lakes offerings. Black Oak brought a Lavender Pale Ale, which was their standard pale ale given a big floral oomph by the lavender. The result was not subtle, but neither was it unpleasant (but that probably depends on your lavender tolerance). The House Ales Back In The Day Bitter was the tamest of beers, a mild tasting ale with earthy English hops and a slight cereal grain character. Very light tasting compared to the other beers available. A beer that worked very well was the Nickel Brook Bertwell 80/-, a Scottish style beer with wet-hopped with local Bertwell hops (a variety that may only found in Ontario). The earthy flavour of the fresh hops fit with the bready caramel flavours of the malt. The cask definitely helped to accentuate the subtle elements at play and the Bertwell 80/- had the nicest body of all the beers. In contrast, the Amsterdam Molasses Porter was done no favours by being served on cask. Every bit of the 8.5% ABV was felt and overshadowed the rest of the beer. Great Lakes like to play around with different ingredients and their two casks were further proof of this. The Alipeno Ale, named obviously for the jalapeno pepper that is the featured ingredient in this spicy beer. 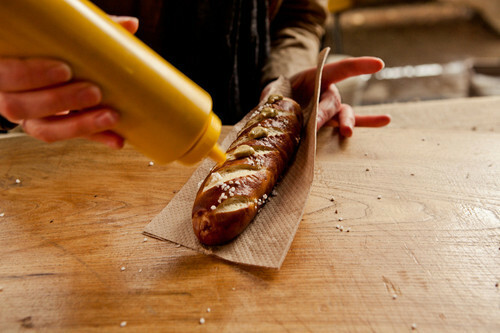 The jalapeno flavour is backed by a nice caramel malt profile, which helps to add some balance. The beer is deceiving mild at first, but the heat builds up over time. A nice beer in small quantities. The real star from Great Lakes was the Pumpkin Ale with Bourbon Soaked Vanilla Beans. The bourbon and vanilla were subtle, but added a nice depth to the pumpkin spices. Being served on cask also seemed to tone down the spices, which was fine by me. A nice twist on the Pumpkin Ale. Food for this Project X event was provided by Melt Grilled Cheese, featuring such creations as pulled pork, roasted vegetable, chicken burrito and the classic grilled cheese. The cheese inside miraculously stayed gooey and warm on the inside, the perfect thing for a chilly night. Between the food, good company and delicious cask beers, it was an excellent and got everyone excited for the Cask Days weekend. One of the defining elements of cask beer is that it is served without any added gas or carbonation. This differs from draught beer, where carbon dioxide and nitrogen are added for carbonation and to push the beer out from the keg, through the tap and into your glass. As cask beer is naturally carbonated and conditioned within the keg, a different method of dispensing the beer must be employed. This can either be done through a beer engine or by gravity. Gravity dispensing predates the beer engine. In this case, a tap is placed in the front of the cask and the beer comes out by the simple force of gravity when the tap is opened. This allows for cask beer to be appreciated in a pure form, as there is no agitation of the beer from the cask to glass. The gravity dispense method also makes it harder to mask flaws such as an under carbonated beer. 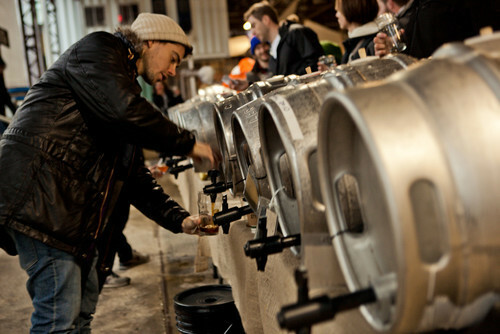 Gravity dispensing is most often used at beer festivals, special events or at bars without beer engines, which usually means they only serve cask beer one or two nights a week. The problem is that most often the cask is just sitting on the bar (or on a table in the case of beer events), making it hard to regulate the temperature of the cask. Cask blankets (basically flexible ice packs) can be used to help keep the cask cool, but casks served through gravity must still be consumed very quickly. Unfortunately, beer engines are not perfect. If the line from the cask to the spout is not properly insulated, the beer could be above ideal temperature in your glass. 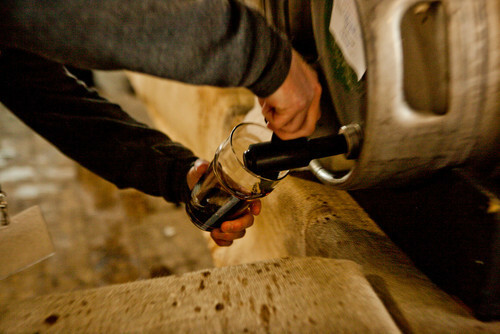 Hand pumps can also agitate the beer, taking away some of the subtleness of cask beer. Sparklers are another contentious issue surrounding beer engines. Essentially, sparklers are plastic caps attached to the spout of a beer engine. They are perforated with small holes that spray the beer into the glass when it comes out of the spout. This helps to create a nice head on a pint of cask beer, though some also argue that it takes away from the flavour and aroma of cask beer. It’s really a question of personal preference and source of nerdy pub arguments. I would never say that one method of serving cask beer is better than another, though you’re welcome to come to your own conclusions. In my opinion, coming up with an answer is hard because of the very nature of cask beer. As a living and evolving beer, no two casks are ever the same. Plus there is the influence of the bar/restaurant and how they treat casks. There is more to the story than strictly how a cask is served, though it is an important part to creating an enjoyable pint. It never hurts to ask how a cask beer was served – the gravity or beer engine part is usually pretty easy to see, but see if they use a sparkler or ask where the casks are stored in relation to the hand pump. Over time you may find a preference to one method or take sides in the sparkler debate. Or you may just develop a stronger appreciation for cask beers, the breweries that make them and the people the serve them. There’s nothing wrong with that either. 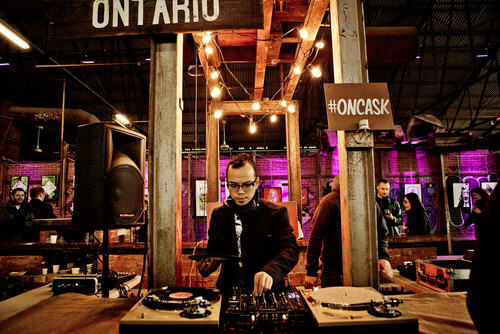 Cask Days™ invites you to participate in the 4th Annual Ontario Cask IPA Challenge taking place on Friday, April 20th to Monday, April 23rd, 2012. 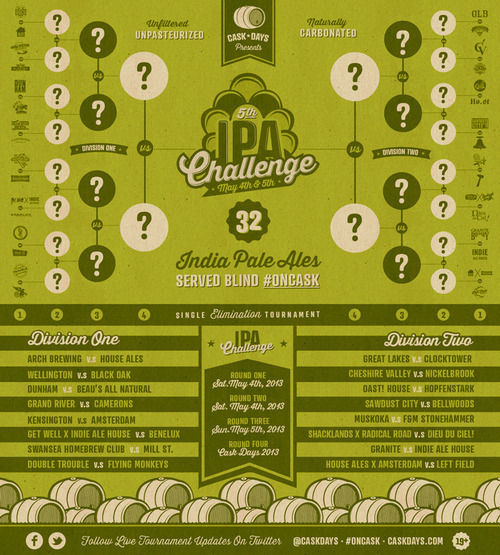 This year’s challenge will be hosted by barVolo (587 Yonge St. Toronto) and feature 32 different cask-conditioned IPA’s from 26 Ontario breweries served blind. Participating IPA’s will go heads up in a single elimination bracket tournament, where the top score of each beer pairing will advance to the next round. • Beers will be assigned a random display number and will be served blind on gravity casks . 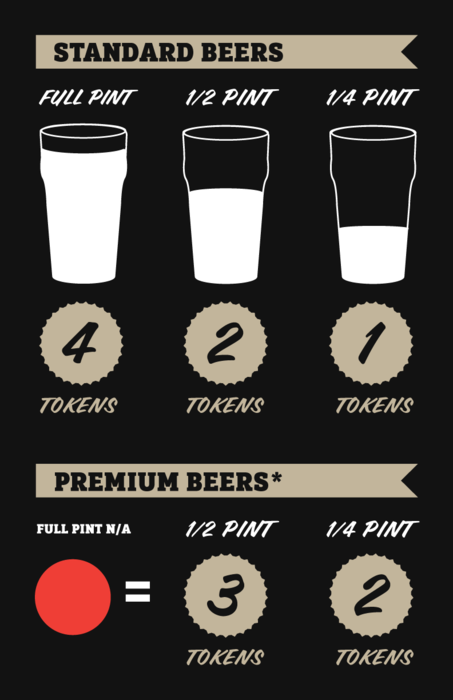 • Customers will be presented score cards to rate the participating IPA’s. • All participating beers in the challenge will be available in either a 1/4 or 1/2 pint serving. • Beers that do not advance will be disclosed and become available by the 1⁄2 and full pint. • First round cumulative results will be weighed as 70% judges score & 30% public score. • Judges will consist of brewers, writers, home brewers, BJCP certified judges and enthusiasts. • If the final two IPA’s can be brewed again, there will be a 5th round. • Final round will take place during ontario craft beer week. • 19+ event. Cash only - ATM available downstairs. Food will be available. 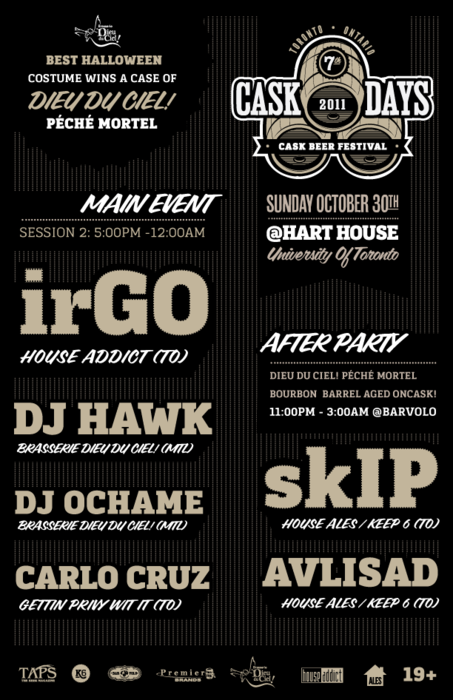 On behalf of the Cask Days team we would like to thank everyone for coming out and supporting this years festivities at the Hart House on Sunday, October 30th, 2011. The event was a tremendous success with a total of 55 participating breweries, 82 unique cask-conditioned ales and over 1200 guests in attendance. This marked the 7th year of Cask Days which was founded in 2005 at barVolo by Ralph Morana and was the first year we brought the event to a new venue. A special thanks goes out to all of the craft breweries across Canada who participated this year. All of the casks were in top form and tasting great! If it wasn’t for you guys this event could not be possible. We would also like to thank all of this years volunteers, the hart house staff, our photographers, barVolo staff (you guys have been a tremendous help the last few weeks), our sponsors (TAPS Magazine, Premier Brands, Niagara College, Keep6 Imports), the folks part of CASK! Toronto, CRAP, the Dj’s (Carlo Cruz, House Addict, Dieu Du Ciel!, Avlisad, Skip) our friends, family and everyone who helped make this event possible. 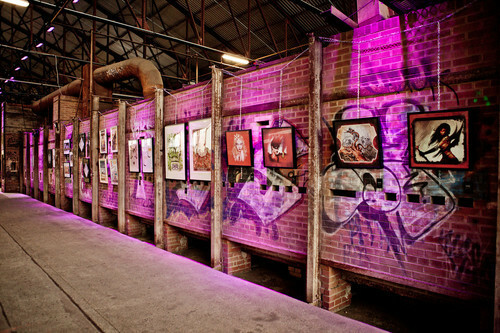 Over the next few days we will be posting some photographs of the event and announcing the winners of the Cask Days 2011 Awards. 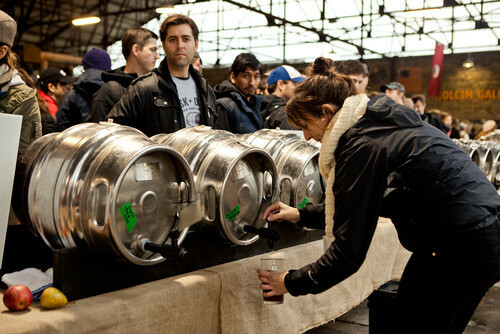 Cask Days will return in Spring 2012 with the 4th Annual Cask-Conditioned IPA Challenge. Stay tuned for more details! Cheers! Cask Days 2011 entrance and line up will be on the west side of the building on Tower Road (Off Hoskin Ave). You will not be able to enter through the main entrance of the Hart House. 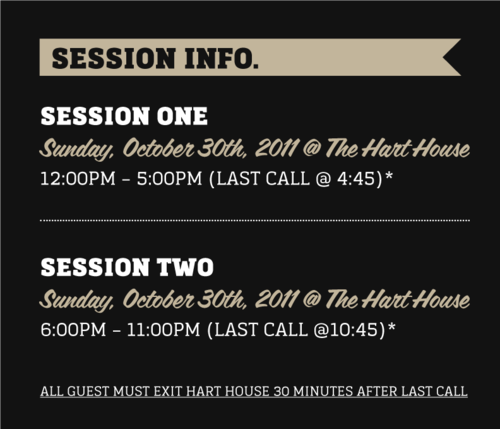 For more information about Hart House click here. How to get to Hart House? 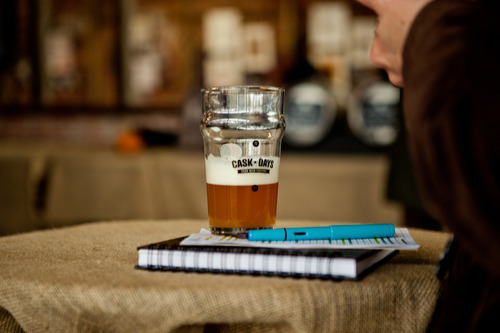 For live updates and news follow @CaskDays on Twitter. Halloween Costumes are encouraged - there will be a Halloween costume contest during session two. Best costume wins a case of Dieu Du Ciel! Peche Mortel (Mortel Sin). Please bring a printed copy of your electronic ticket (.pdf) and photo identification. Without this you cannot get in. If you don’t have a copy of your ticket or have any questions regarding admission please contact tomas@barvolo.com. Your ticket purchase receipt is not the ticket. 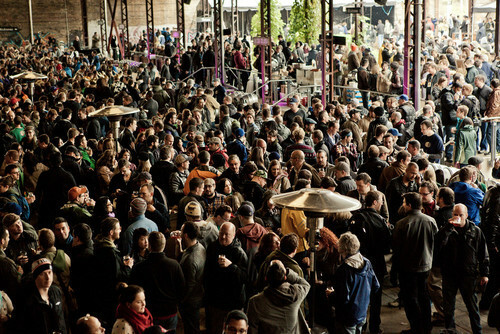 Cask Days is a rain or shine event. All casks will be under tents and there is plenty of room inside the Hart House. Don’t forget to dress warm! The Hart House quadrangle is outdoors. 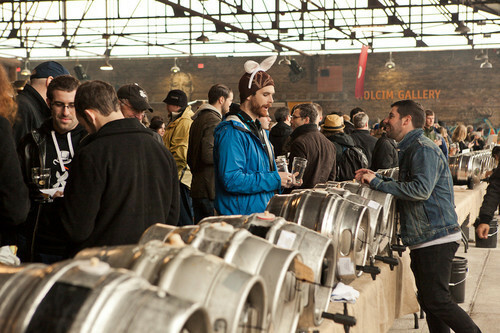 Cask Days 2011 is a 19+ event. Please remember to drink responsibly and don’t drink and drive! If you registered multiple tickets under one name, ensure each guest has a unique ticket number. 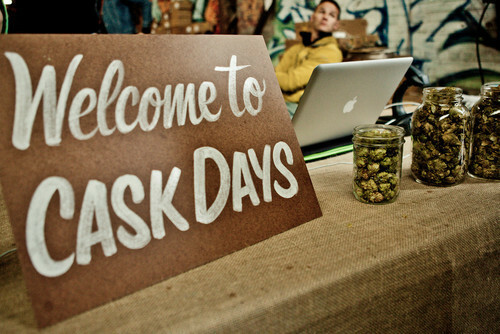 Cask Days 2011 is a CASH ONLY event. There are three accessible ATM’s in the Hart House area. All published casks listed on our website are subject to change. 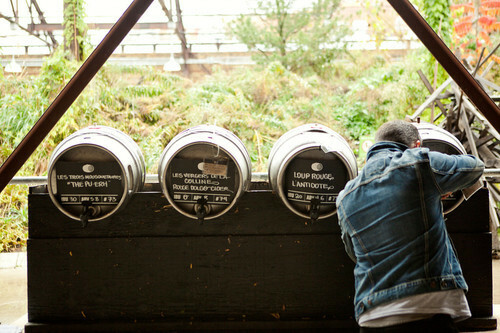 We will be closing out Cask Days 2011 with an after-party at barVolo from 11:00pm - 3:00am Sunday, October 30th, 2011(Serving until 2:00am). Festival oganizers, volunteers, staff and brewers will be present for a special cask tapping of Brasserie Dieu Du Ciel! Peche Mortel (Bourbon Barrel Aged Imperial Coffee Stout). No Admission Required! Admission costs are $10 per session, or $25 for all. An in-depth discussion of how to properly make and rack cask-conditioned ale. The seminar will educate brewers and beer enthusiasts the essential steps involved when brewing cask-ale. Charles Maclean has been a fore-frontier of cask-ale in Ontario since the beginning and will elaborate on the advantages and disadvantages of brewing cask-ale at a brewery level. Cellarmanship in the broadest sense covers the gamut of drinks sold by retail outlets and requires a detailed technical manual. The purpose of seminar is to set out the general principles for the successful management of cask-conditioned ales at the restaurant/bar level. Ralph Morana and George Milbrandt have established themselves within the beer community as bar owners that advocate cask-condition ales on a daily basis. Learn about the history of Cask-Ale in Ontario and find out how it has matured to where it is today. Nick Pashley and Robert Hughey are both highly dedicated to the raising awareness of local cask-ale and offer a wide range of brewing knowledge and experience from which to draw. Nick Pashley is the author of “Notes on a Beermat: Drinking and Why It’s Necessary” and “Cheers: An Intemperate History of Beer in Canada”; and Robert Hughey regularly contributes to “The New Brewer” and “Great Lakes Brewing News” beer publications. 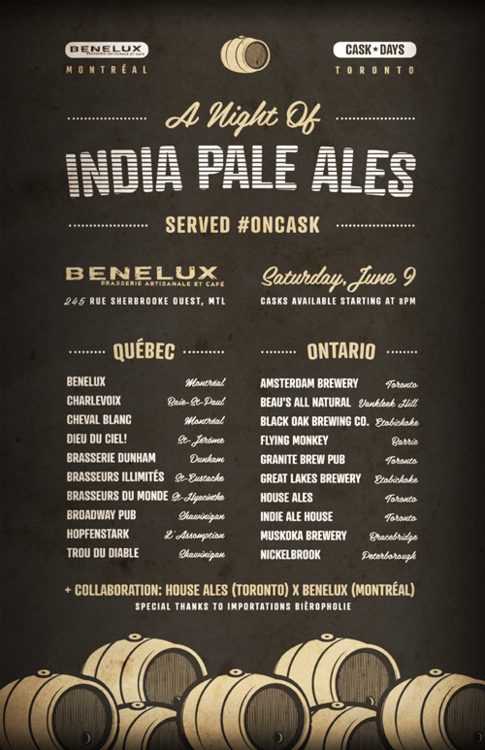 barVolo will host CASK! 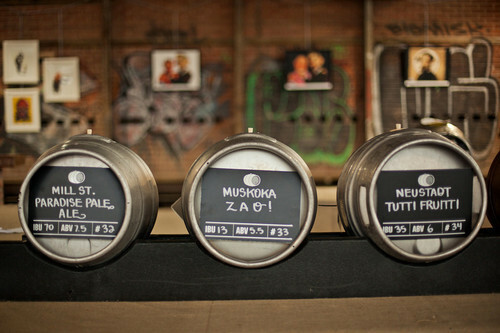 Toronto’s monthly cask social – the event is open to the public with no admission fee. This will be an exclusive House Ales feature of Traditional English Styles– all beers are subject to availability.